I have approached the maximalist shoe trend with caution. While I will admit that I have some minimalist tendencies (recovering minimalist shoe person) there are some potential biomechanical issues with many max cushion shoes that I have seen come to light. A lack of flexibility, decreased foot proprioception, decreased shock attenuation at the ankle (which could be a good or bad thing depending on the condition). That all changed when I got my hands on a pair of Skechers GOrun Ultra Road 2. Although this is a maximalist shoe based on stack height, the Ultra Road 2 is different. Despite the extra cushioning, the GRUR2 is light at 8.6 ounces (in my size 10), has a 4mm drop and is firmer than most maximalist shoes. 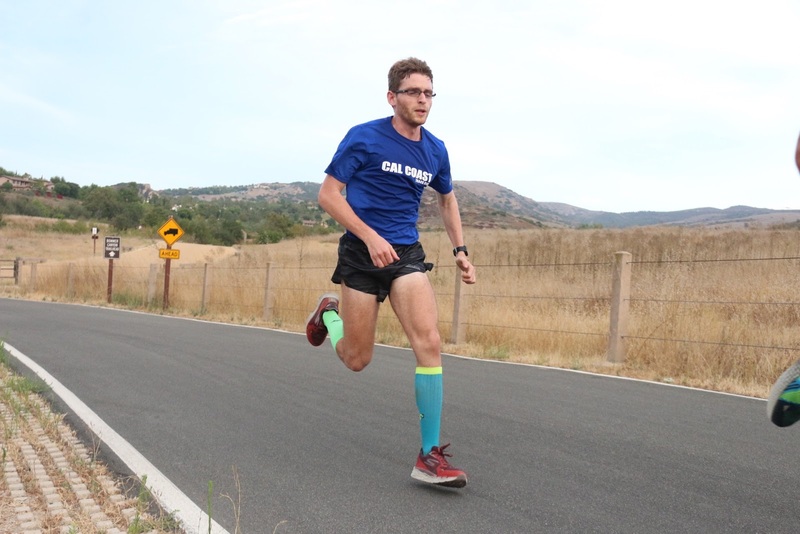 This combination makes the shoe versatile, able to handle long and uptempo miles alike. 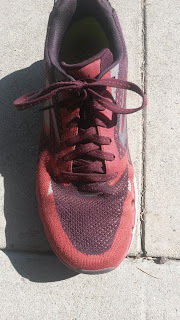 I have used this shoe for up to 18 mile long runs as well as fast cross country style tempo runs and intervals. 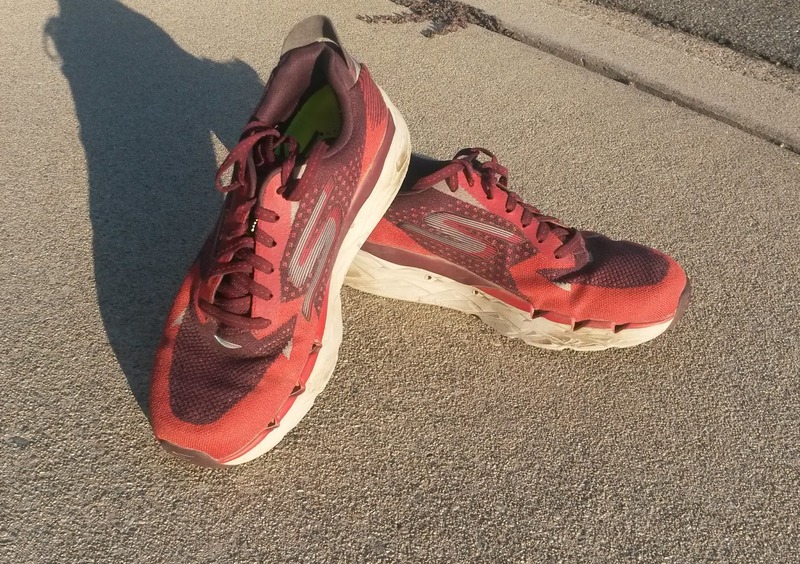 Despite the lighter weight, there is a great deal of cushioning in this shoe. 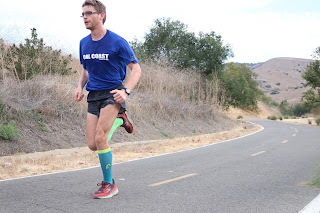 This protects the legs during long miles on a variety of terrain. Unlike other maximalist shoes, the cushioning is firmer, which makes the ride more stable. I would compare the ride quality to the original Hoka Clifton 1 and 2 but firmer. 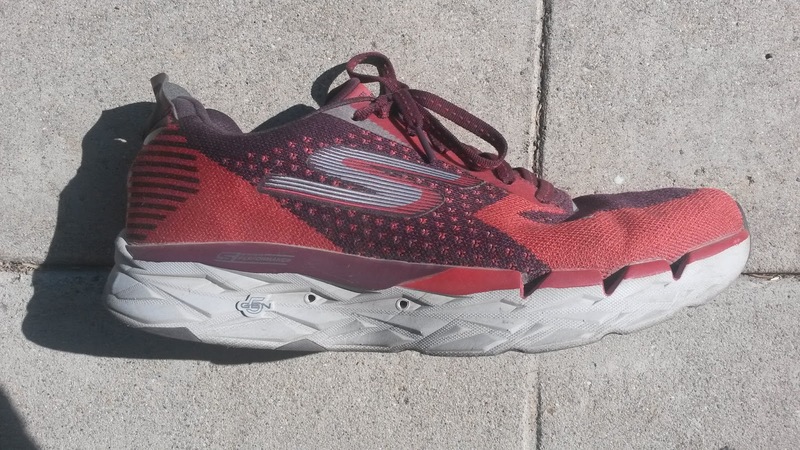 The essence is there (lighter weight, 4mm drop) especially with how this shoe responds to speed work (just watched a Cal Coast teammate crush an 8 mile tempo in in the 5:20 per mile range in these). The GOrun Ultra Road 2 does have a rockered sole like most maximalist shoes. However it is somewhat less aggressive than other maximalist shoes due to the improved forefoot flexibility. Unlike other maximalist shoes, the forefoot is actually decently flexible. 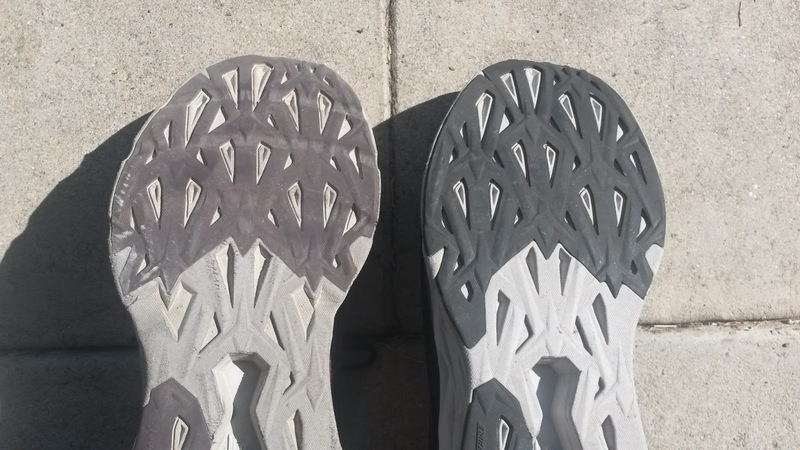 This is due to the inclusion of several forefoot flex grooves that really help smooth out the transition over the forefoot. During testing these were not there and made the shoe very stiff like other maximalist shoes. With the improved flexibility, forward momentum is maintained. There is still some toe-spring to smooth out the ride, but the flex grooves help the toes get some movement (not excessive) to keep you going forward. A common issue with certain maximalist shoes is that they tend to run either too narrow or too wide. The GOknit upper of the Skechers GOrun Ultra Road 2 is snug but flexible. The overall fit is fairly normal but like all Skechers Performance shoes there is a slightly more anatomic last without being clown like. There is decent room in the forefoot as the GOknit upper stretches well with the foot. Although the knit initially felt a little snug, the shoe broke in and fit my foot nicely. The midfoot is slightly wider and those with narrow feet may need to snug the laces down quite a bit. The heel is does not have this issue as much and that may be due to the extra upper cushioning. 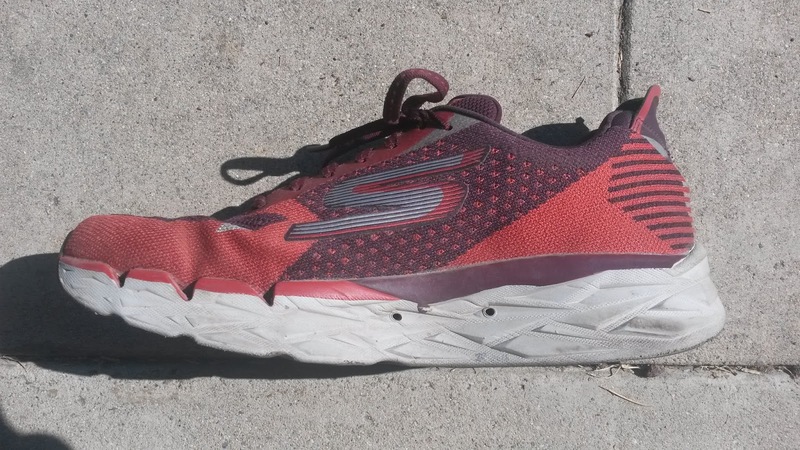 There is a very mild heel counter, but due to the upper cushion I have not had any issues with or even noticed it (I had to double check that there actually was one writing this review). The upper is similar to the other GOknit uppers seen in other Skechers shoes except a little softer and slightly thicker. I have not had any hot spot issues even while running sockless in this shoe. 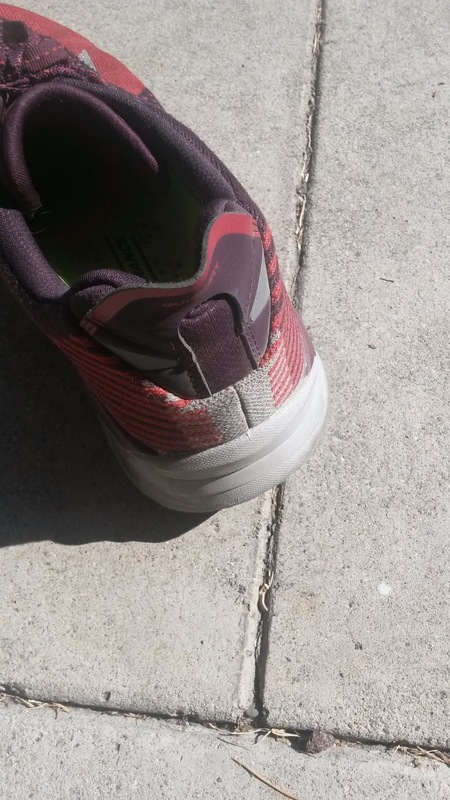 The only issue is that the shoe can get a bit warm during extremely hot days, but that has not been a major issue. 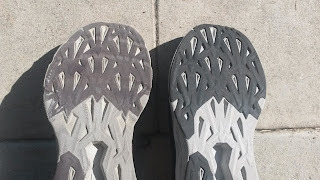 I have discussed before the importance of flex grooves in the forefoot of shoes. While I understand those with joint issues in the metatarsal joints, taking that away modifies the forefoot rocker of the foot. This is very important to help with the transition over the toes and the proper engagement of the calf muscles. I understand why maximalist shoe companies put so much toe spring in their shoes in order to compensate for the lack of flexibility due to the thick midsoles. It is nice to see a maximalist shoe with some degree of forefoot flexibility not only to better match the foot but also to maintain forward momentum during the gait cycle. For more information on this, see my post on toe spring (HERE) and rockered shoes (HERE). Final version vs a tester pair. Notice the flex grooves on the left shoe verses a lack of flex grooves in the forefoot on the shoe on the right. The wider base of this shoe makes the GOrun Ultra Road 2 inherently stable without using typical methods of arch support. The firmer ride adds to that stability and makes the shoe both protective and responsive. Most maximalist shoes end up being very soft and unstable. Although they feel protective, most of them end up either slowing many runners down because their muscles must work harder to stabilize their body or because more cushioning means a heavier shoe. Neither of these are the case with the GOrun Ultra Road 2. The firmer ride is still very protective, but provides enough stability that most people will be able to focus on speed instead of compensating for an unstable ride. The GOrun Ultra Road 2 has been a bit of a maximalist gateway shoe for me. I have expanded out a bit in the shoes I have worn recently including a few Hokas like the Arahi. While I still have my doubts about excessively soft maximalist shoes, I think the market is moving toward firmer rides (the Clifton 4 being a great example) to attempt to offset decrease the loss of lower extremity proprioception. The GOrun Ultra Road 2 is a major step in that direction but more so. The lighter weight, flexible and firmer ride all contribute to a fantastic shoe. The GOrun Ultra Road 2 is a great distance and uptempo shoe for those needing firmer cushioning that is well worth checking out. ***Disclaimer: These shoes were provided free of charge in exchange for a review. I put at least 50-75 miles on trainers and 25 miles on racing flats. Currently my pair of Skechers GOrun Ultra Road 2's have 184 miles on them. A big thank you to Skechers Performance for sending these to me.